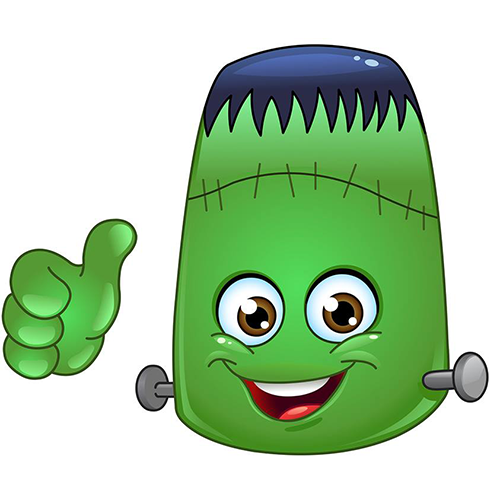 Send them a very cool Halloween message using Facebook Frankenstein Emoticon! Mary Shelley, the creator of Frankenstein, would probably be thrilled that her monstrous creation is enlivening your FB messages and posts. She was a forward thinker just like you and wanted to convey her real thoughts—they were morbid and monstrous thoughts, but we all have our dark sides! This Frankenstein isn’t too dark at all! He’s the perfect shade of green!